So after the Martyn Cox garden we went over to the next street, Maynard Road, to see the garden of Don Mapp (http://www.donsgarden.co.uk/). 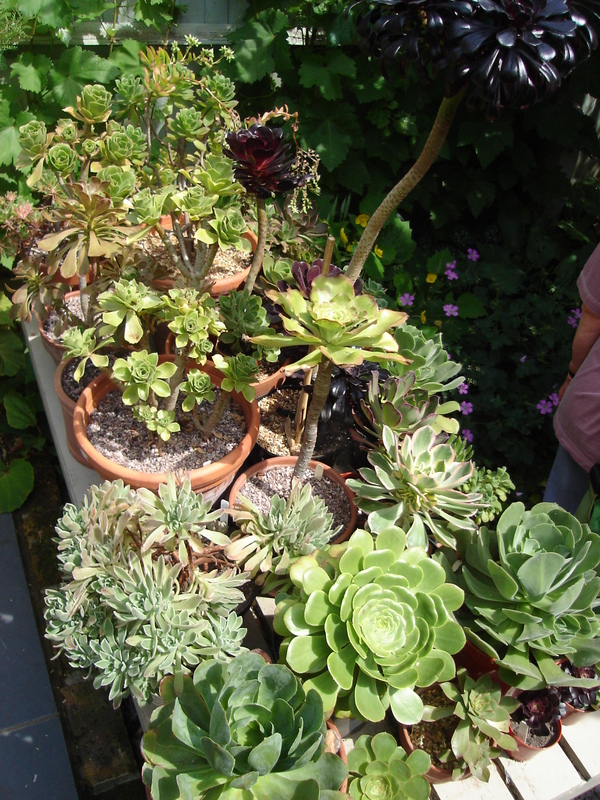 The first thing you notice is that the front of the house is adorned with plants. Not many houses will have carrots and strawberries growing on the front wall! The front garden is oriented to vegetables and herbs, with the railings to the adjoining property doubling as a long pot holder for herbs. The front garden path also has fetching relief shapes in the concrete. The back garden is a lot more spacious than the previous garden we visited and with most of the plants around the outside of it creates a much more open space. 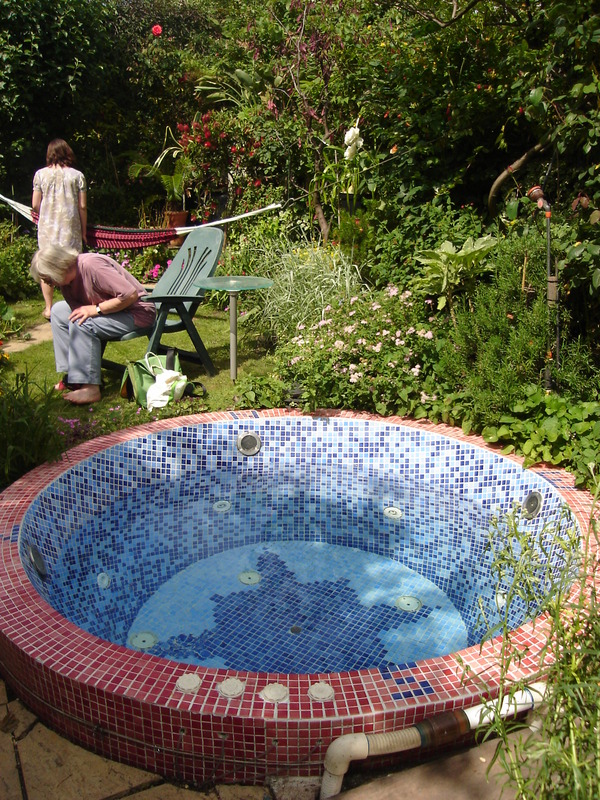 There is a small spa pool which has a bordering mosaic with compass points marked in it, like it is one big garden ornament! There is a small coi pond which is very pretty and there are of course lots of plants, with quite a few exotic looking ones. 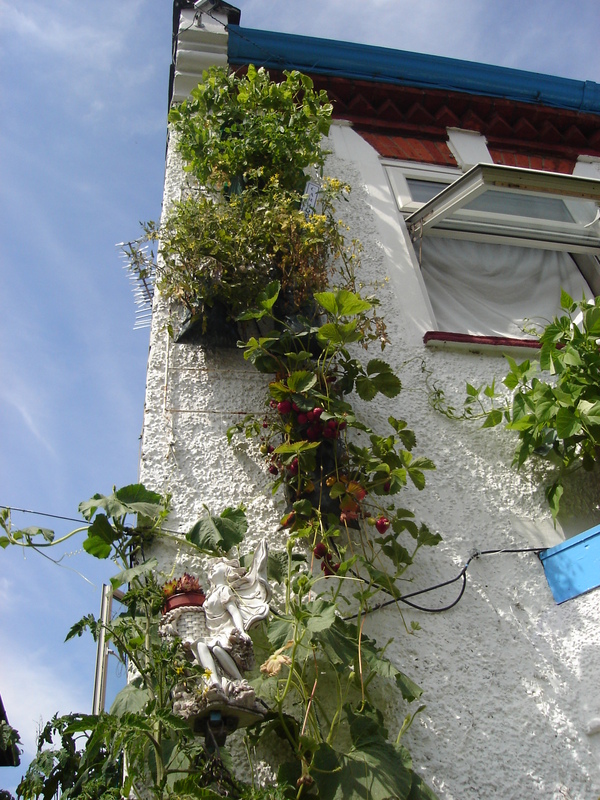 Plants grow right the way to the top of Don's house! 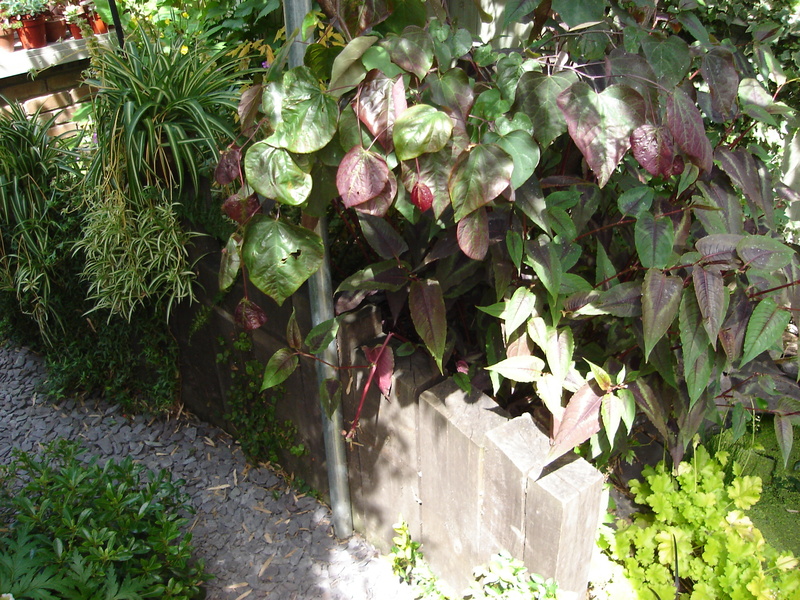 Don's front garden has lots of edible foliage! The spa pool also has the feel of a 'water feature'. You can see the openess of the garden past it. 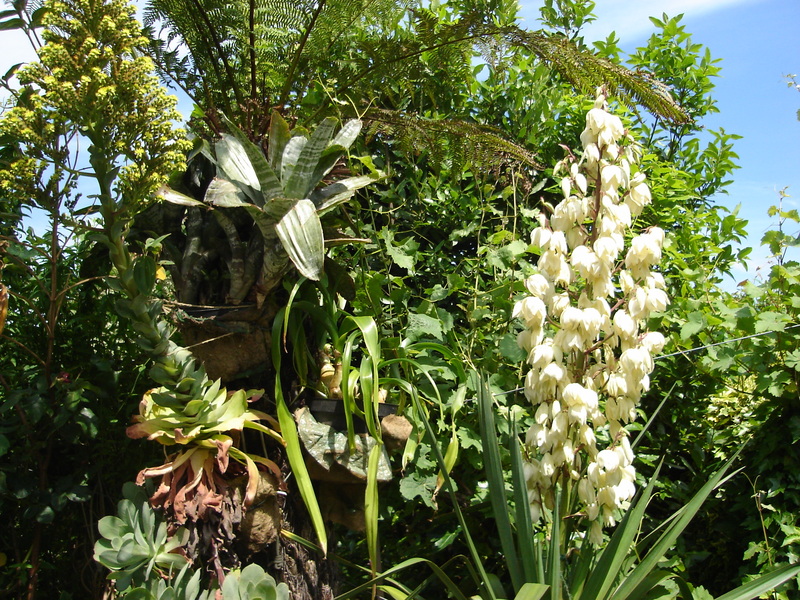 An example of the exotic mix of plants. So this weekend was the London Gardens event run by the National Gardens Scheme. The event means lots of privately owned gardens across London open to the public for a small fee which all goes to charity. So avoiding the Sunday World Cup match my partner, her mother and I headed over to the village. First stop was Brunswick Street where we viewed the work of famous urban gardener Martyn Cox. 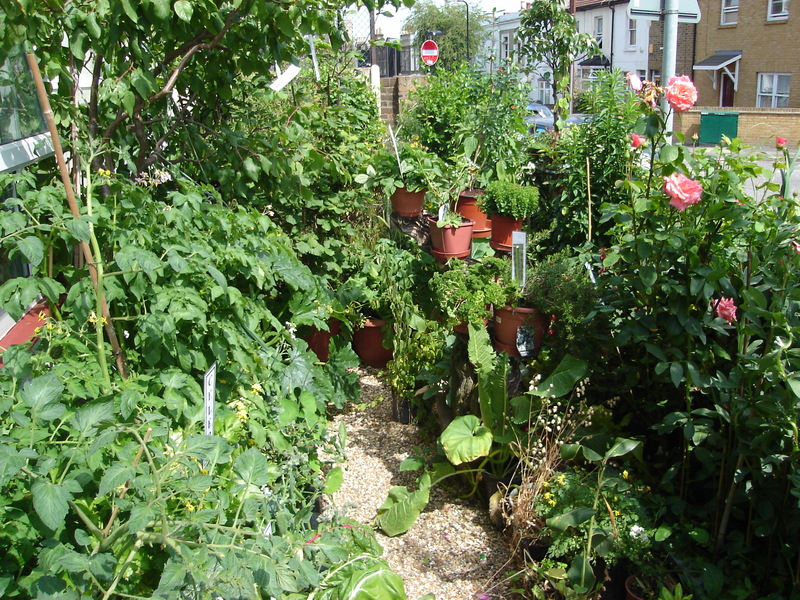 He has written books about any small urban garden can be a big success. He’s certainly managed to make his 30ft x 15ft back garden a wonderful place. As well as a small patio there is a lovely shaded footpath down the middle bordered on one side by a railway sleeper wall. Down the end is a small green house and lots of pots mounted on some old wooden steps. There’s even a small, near hidden pond with a plastic duck. Everywhere there are a massive variety of plants, all very visually interesting. We then had lovely tea and cake in their kitchen and I further admired Martyn’s work in the pot plants that densely inhabited every window sill! 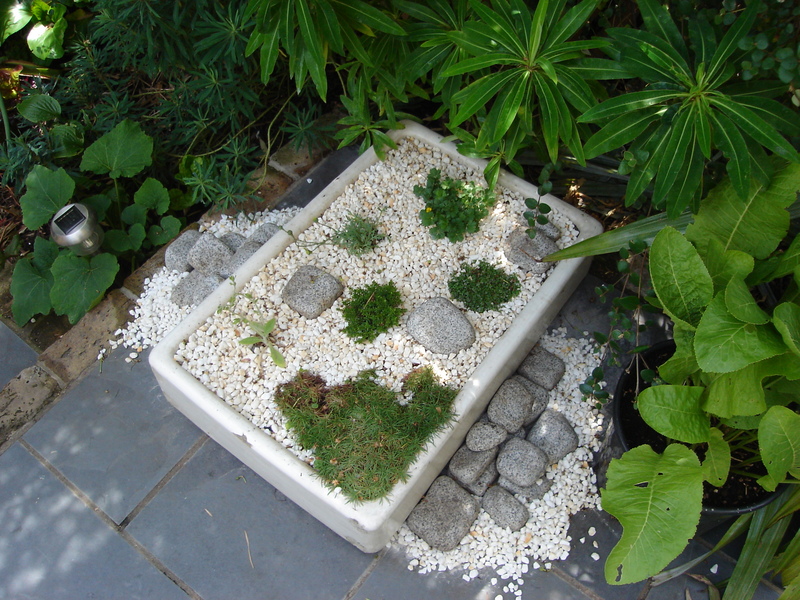 A very pretty rock garden based in what seems to be an old sink. 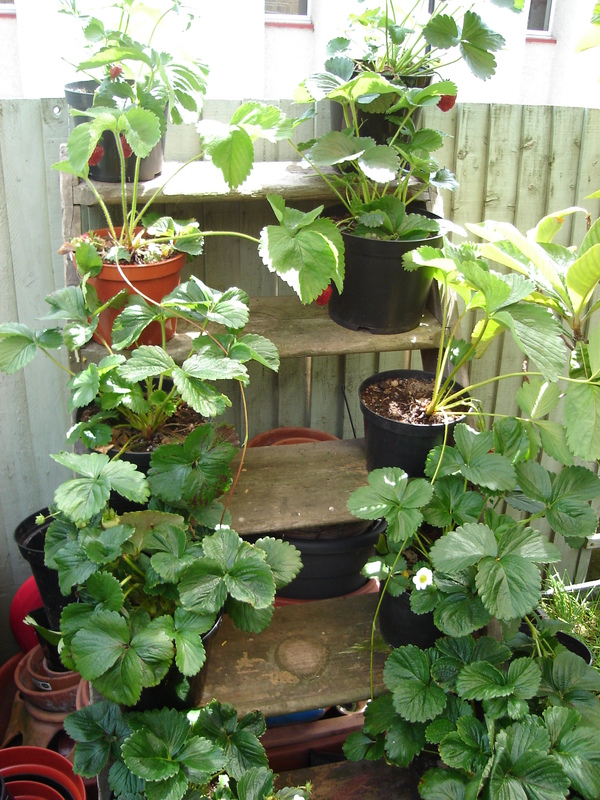 A clever use of some old steps leading 'over' the back wall. The shady space underneath is used for storage. 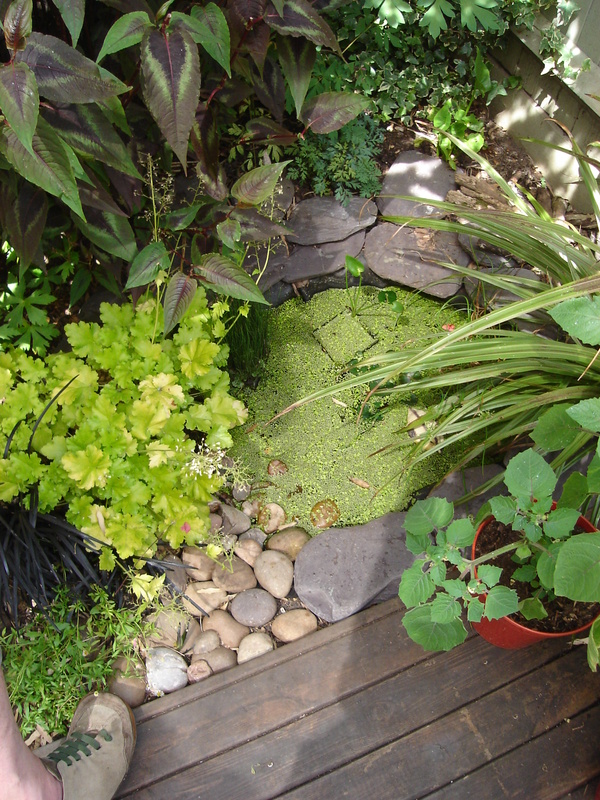 A little pond, hidden away. You can just see the little duckling on the right.